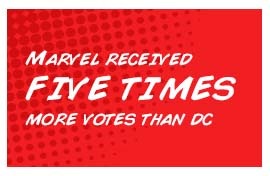 A new survey from Vue Cinemas has revealed that Marvel’s comic book film adaptations are overwhelmingly 5 times more popular than DC’s movies. Green Lantern and The Incredible Hulk topped the list of least favourite comic adaptations. 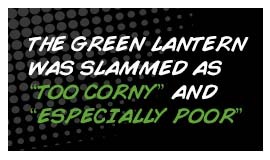 Green Lantern was identified as being particularly bad because the major storyline had been rewritten but 77% of people felt that the movies haven’t impacted significantly on the way the comic books have developed and the general consensus is that people are proud of the way that comics have stuck to their roots. For the respondents that do feel that films have made comics better or worse, most people believe that film adaptations have made them better. 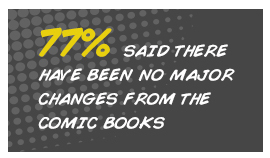 Almost a third of people who thought that film adaptions have made comics better believed that this is due to the enhancement of CGI and special effects. This is followed by films enabling the storylines and characters to be strengthened. When asked what people want to see in the upcoming Superman v Batman film, most people claimed that they want to see ‘all of it’, demonstrating a high demand for the films to stay true to the comics. This came tied with ‘The Joker’, who people are wanting to see make an appearance.